The XR OS Combo Set gives you industry-leading 360 Face Cup technology and wider sole irons and hybrids with extreme forgiveness, high launch, and our industry-leading Hyper Speed Face Cup for distance - and they’re designed to perfectly complement the XR OS Irons. We’ve taken our 360 Face Cup technology that’s redefined ball speed in the category, and helped us become the #1 iron in Golf…and we’ve made it even faster. And with the multi-piece construction we’ve implemented a new heat treatment in the face cup for even more ball speed, with a soft heat treatment on the body for better feel. XR OS Irons are easy to launch with a Center of Gravity that’s lower and further back. It’s easy for you to get a ball flight that leads to more distance. The soles are wider to give you more forgiveness, and it’s easier to get more distance out of every impact location. You’ll feel confident over the ball, and you have the technology to hit good shots more consistently. To help you hit the ball farther, we’ve included the progressive lengths and lofts through the set for longer distance off each club. 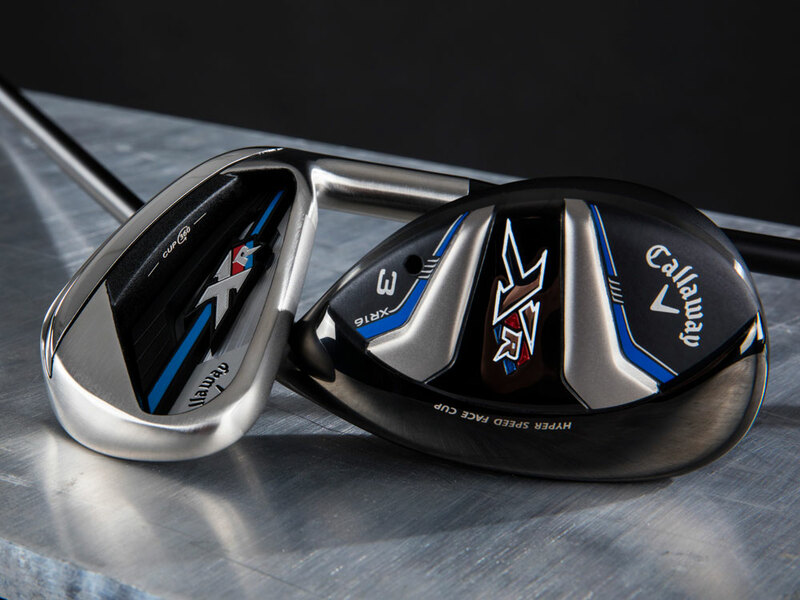 You can choose to complement your irons with XR OS Hybrids. 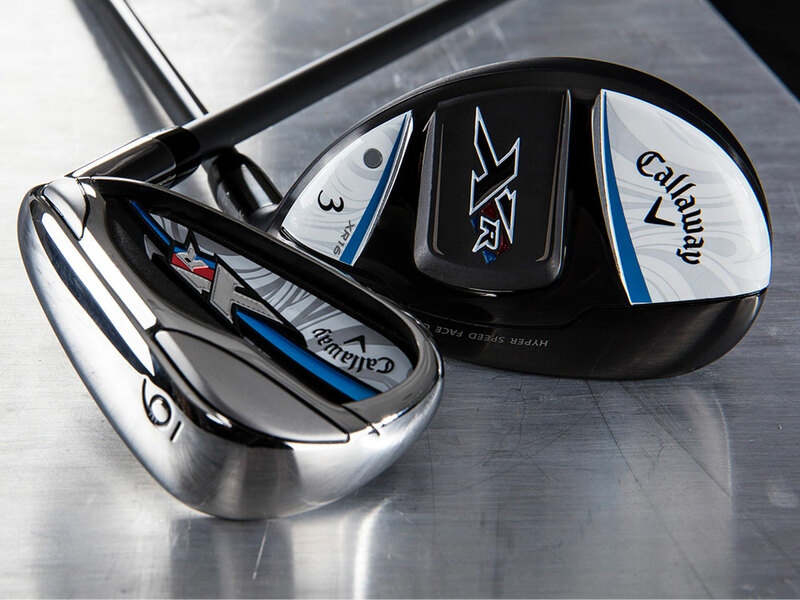 They're designed to replace long irons in the set and provide even more distance and forgiveness. 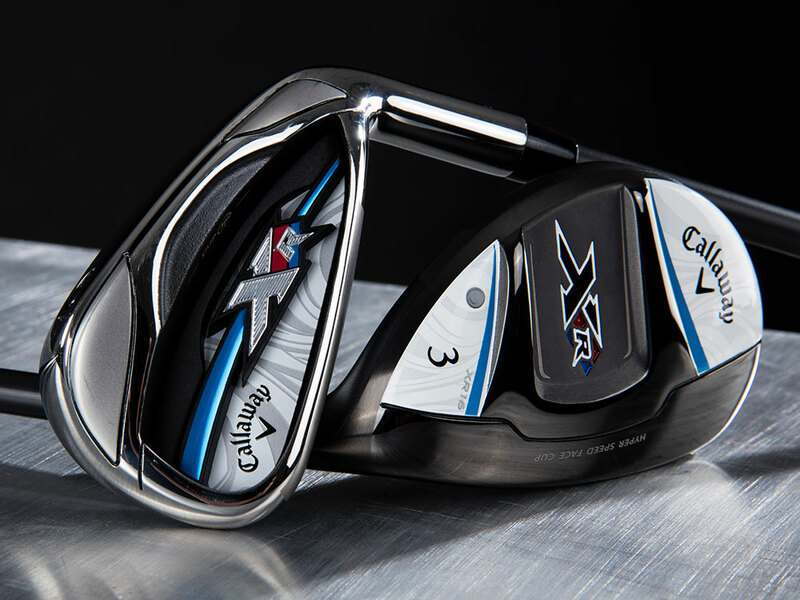 XR OS Irons/Hybrids Combo Set is rated 4.8 out of 5 by 21. Rated 5 out of 5 by Jimbo from Nice clubs Purchased complete set with hybrid 5 and 4. The irons are great and I am still trying to figure out how to hit the hybrids better. Rated 5 out of 5 by Far from Parr from Great clubs, great price. The Callaway OS irons are easy to hit and have lengthened my my distance to that which I was hitting 15 years ago. I love the feel and looks of the clubs. Rated 5 out of 5 by JP from Great Clubs Easy to Hit The clubs like like they were new and felt good in my hand. Rated 5 out of 5 by Larry C from Love the clubs Love the clubs, more forgiving, more distance and just easier to hit. The Winn midsize wraps feel great in your hands. Love the XR OS clubs. Rated 5 out of 5 by Kboat from THE BEST I've been playing golf for 40 years. I am currently a 10 handicap but have been as low as a 4 (it's that age thing). The XR OS Irons/Hybrids are by far the best clubs I've ever played. I bought my wife (14 handicap) a set of women's XR OS Irons/Hybrids and she has said the same thing. We both love these clubs! Rated 3 out of 5 by Dad from Good clubs but not Like New I bought these clubs for my daughter based on her coaches recommendation and she really likes them. The only reason I did not rate them higher is because I ordered the higher quality like new clubs and these did not come in that condition. I have ordered previously and the condition of those clubs were much better. Rated 5 out of 5 by John92374 from Great club Easy club to hit, ball just rockets off the face. Even miss hits still feel fairly solid. Hybrids are exceptional as well. Rated 5 out of 5 by Chipper66 from Get you some... I have been hitting these clubs for about a year and couldn't be more pleased. I bought them with the KBS v90 shafts. Over the past several years I have had multiple sets of clubs because its always the clubs and never the golfer, right? Well, in this case it was a little of both. I had a 15 handicap when I bought these clubs. I was playing better golfer irons thinking that I had the game for it. That was my mistake. Hey, my golf buddies were playing those irons so surely I could hit them. Wrong! I moved into the XR's and never looked back. They are very forgiving, long, and have great feel. They may sound a little clicky, but I got over that after a few rounds when my scores started coming down. I am now a 12 handicap and getting better with every round. The bigger head is forgiving and keeps me in the fairway. They are plenty long and have a great ball flight. I would recommend these clubs to anyone. Test drive a set for yourself. You will not be disappointed.